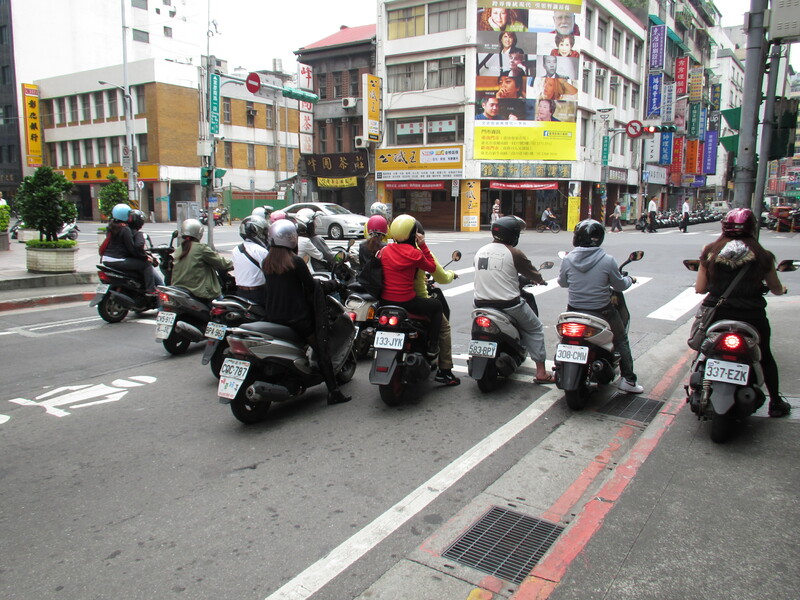 Brief update on the cycling in Taipei story. Managed to hire a bike from one of the cycle hire stations which are positioned along the linear riverside parks which have some of the most impressive leisure cycling infrastructure I have seen. They run for miles right round the city. But then I knew I was not going to be satisfied unless I actually rode in Taipei itself which meant passing through the flood defences and out into the terrifying kingdom of the scooters. At this point I always believe what makes cycling possible in a new city is a role model. 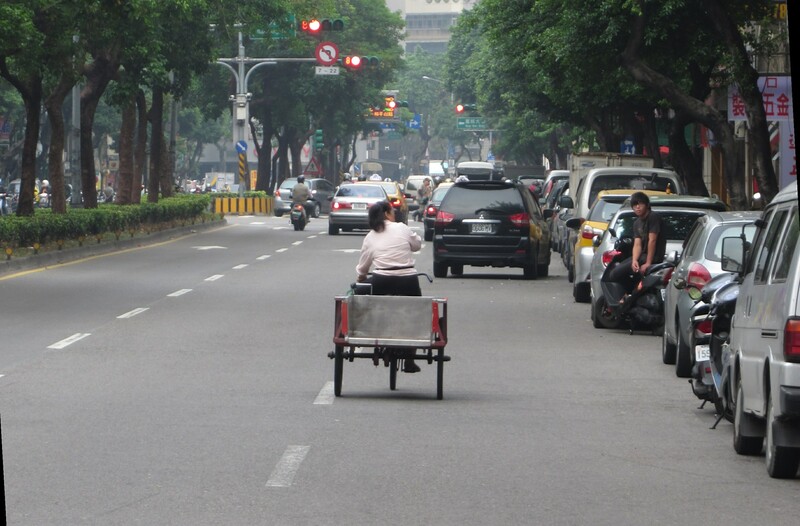 And as I approached my first entry into bedlam a woman on a cargo trike pulled out slowly and sedately from a side street and instead of heading for the side of the road she boldly took up the whole lane of the busy highway. 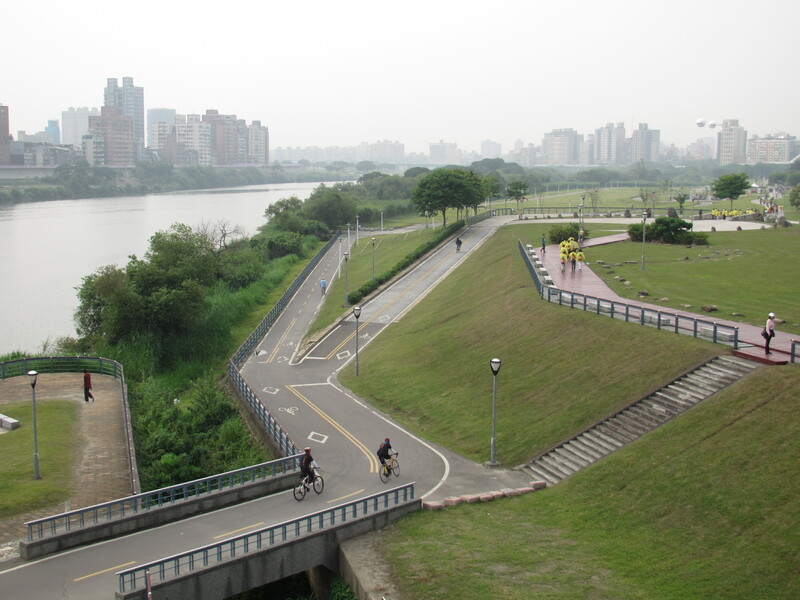 Another vote of thanks to the fearless cycling women of Taipei for your example. More, lots more, to follow.